Order Kaffir/Makrut Limes Online...Like its citrus cousin the pomelo, kaffir limes have a lot of aliases and spellings. You can call them keiffer limes, Thai Limes, combava, jeruk purut, limau purut, or "odd looking, green, bumpy skinned, highly fragrant citrus" (ok we made that last one up). But whatever you want to call it, if you know how to cook with it (or the kaffirr lime leaves), you know you can�t live without it in the kitchen! Totally indispensable with Thai, Lao and other Southeast Asia cuisine, this fragrant citrus fruit goes right to the heart the meal. Prized for its fragrant zest and its juice, fresh Kaffir Limes are not always easy to find. However, we here at Pearson Ranch have �teamed up� with one of our great, specialty citrus, grower neighbors to bring you these little treasures of the Asian cooking world. So order when they are in season, be sure to buy your fresh kaffir limes online from us. The word Kaffir or Keiffer is from the Arabic word Kafir (ka-fear) which means: disbeliever or hiding the truth after knowing the truth. When are Kaffir Limes available? They are available September thru December! 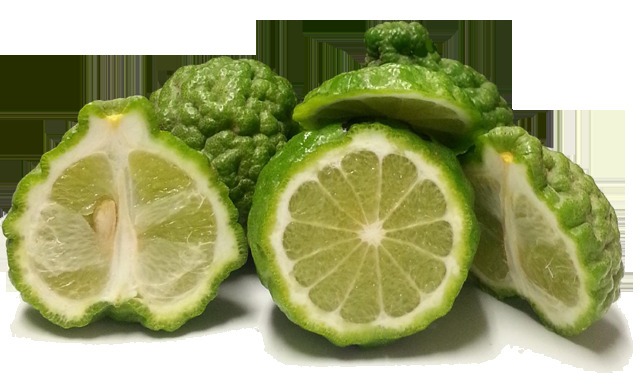 However, be aware that the Kaffir Lime season can vary from year to year so please be sure to check for availability. How many pounds of Kaffir Limes do I get in a box? Pearson Ranch sells it's Kaffir Limes in 5 pound Quantities or approx. 50-60 pieces. For more 10 pounds or more, please call for details.